What happens when a Canadian Treasure Hunter, an Argentine Winemaker, a Mexican Environmentalist and a Peruvian Inca all engage in conversation? Passionate voices and trailblazing spirits ignite! Four powerful women, driven to defy established norms of their distinct cultural realities tell their “rise-to-the-top” leadership stories. 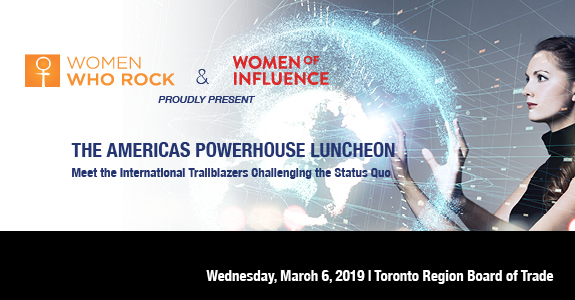 Women Who Rock is partnering with Women of Influence to shine a spotlight on The Americas Diversity story by sharing the unique perspectives of these four ground-breaking leaders. We are proud of the opportunity to share positive stories and the strides that the mining industry has been making to bring about positive change.